Boy meets girl. Girl meets him. They had a chatty conversation. Their chemistry rose. They exchange numbers. Barney Stinson’s playbook rule says that boy should not text the girl the next day but wait for a few days instead. So the boy did, texting in the night, exchanging emojis and chats about life. Boy and girl go on a date. Developed mutual feelings. Have kids and grow old. Wait, before that would be the ultimate challenge, marriage proposal. It is every guy’s dream and nightmare to pop the question while kneeling in front of the one girl that sparks your heart. It all ends to whether the answer is yes or no. Yikess knees are shaking, sweats are drooling, heart is pumping, tears are shedding. 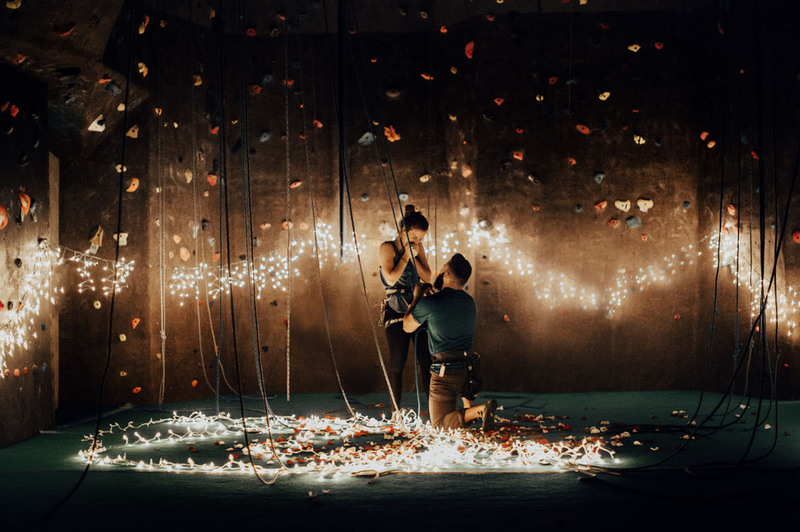 While waiting for the answer, here are some of the epic marriage proposals to get ready for the biggest question of your life. Every relationship has got to start somewhere. Record your joyous moments with her from traveling to the fine dining evening at her favourite restaurant to just cuddling with each other on the couch. Compile everything and filter it in the most creative and romantic ways, have it shown to her perhaps in a movie theater or just on the TV before getting down on your knees popping the question. Have your friends hang on to signboards and messages while both of you are strolling along the park until you reached the destination where you will be trembling in cold feet. Perhaps decorate a little romance atmosphere with candles in a heart shape while let the job of chanting and support to your friends to feel hoorah moment. It is perhaps the best and grandest stage to bring out your ring and ask the question. Plan a hiking trip with her, get to the top tip of the hills or mountains, gaze upon the magnificent view, enjoy and appreciate the moment with her by your side and when she turns to you, whisper her this, “I have gone through climbing the mountains, racing through marathons, and fight through the winter blizzards of snow, but this is my biggest challenge yet. Babe, will you marry me?”. A proposal with the best scenery ever by the beach is perhaps the best place to present her the One Ring. When the sun sets by the beach, have a choir or group of musicians start playing her favourite song while hearing the sound of the ocean waves washing by the shore, and then you will know that would be the right exact moment to lock the eternal bonds between the both of you. If travelling is your passion, then get on a romantic trip with her to pop the hardest question of your life at remarkable romance places, perhaps Paris, the city of love or the amazing monuments and capitals of the world, or Korea’s Locks of Love at the Namsan Tower, which is one of my personal favourites for my dream proposal to whoever she is I am bound to meet in future. Yikess that was damn cringey of me!